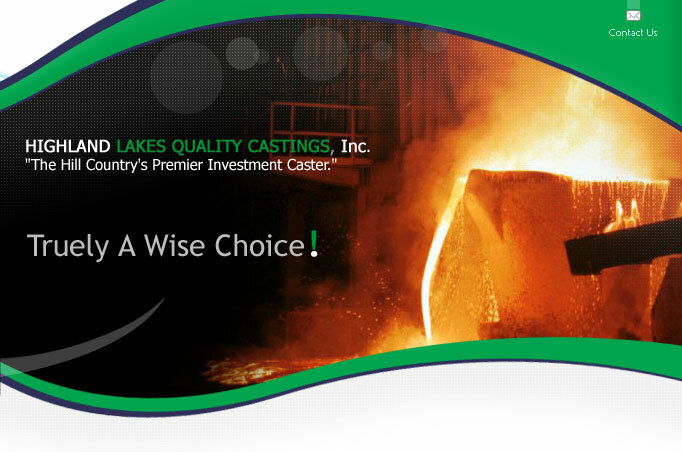 Welcome to the HighLand Lakes Quality Castings, Inc. Welcome to the native Texas Hill Country, where granite outcroppings, white-tailed deer and beautiful bluebonnets reside. It is also the home of well-known Highland Lakes Castings, Inc. For over 35 years "Highland" has been producing precision investment castings for a variety of industries; including oil and gas, mining, marine, aircraft and medical. We have produced casting for your industry as well. 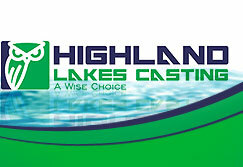 Highland Lakes Castings is dedicated to customer satisfaction and determined to supply our customers with superior quality, competitive pricing and on-time deliveries.